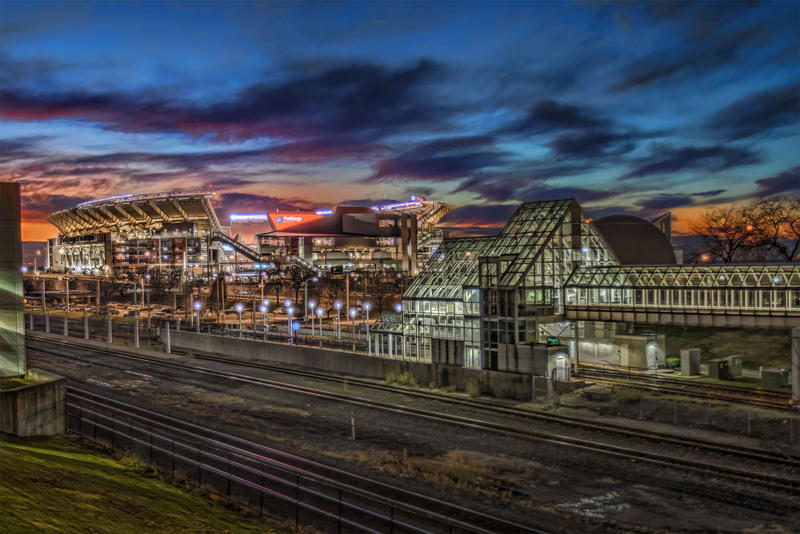 Today’s photo blog features a photograph of the North Coast Rapid Station with First Energy Stadium and North Coast Harbor in the background. The North Coast Rapid Station is located along the Waterfront Line, an extension of the Blue and Green lines, travels from Tower City along the Cuyahoga River and Lake Erie. It ends at the South Harbor Station in the Municipal Parking lot, providing access to destinations formerly served by the L-Line Trolley. 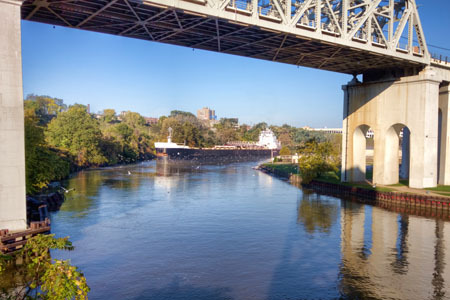 “The Cuyahoga River was a retreat from the last glaciers ever seen in the United States. It is called an “infant glacial river”, because it is young compared to all of the other rivers formed by glaciers. The river was formed about 13,000 years ago, but the Cuyahoga Valley has been there even longer. The Cuyahoga River also had a great influence on the Native Americans. The Native Americans named it “Cuyahoga” meaning “crooked river”. The Cuyahoga River also had a great influence on the Native Americans. They came as early as 200 B.C. to the Northeastern part of what is now the Ohio Valley. The Indians used the river mainly for food and transportation. They built canoes and fished along the river. The river had an abundant supply of fish as well as plants. Also, large game settled near the river. These resources made it very easy for the Native Americans to live. As the War of 1812 ended, Western settlers displaced the Indians off the Cuyahoga Valley. The Cuyahoga River was becoming a place which was rich and plentiful. Moses Cleveland founded the township of Euclid at the mouth of the Cuyahoga River in 1796. Benjamin Franklin and George Washington thought that the Northern part of what is now the Ohio would be of great importance. 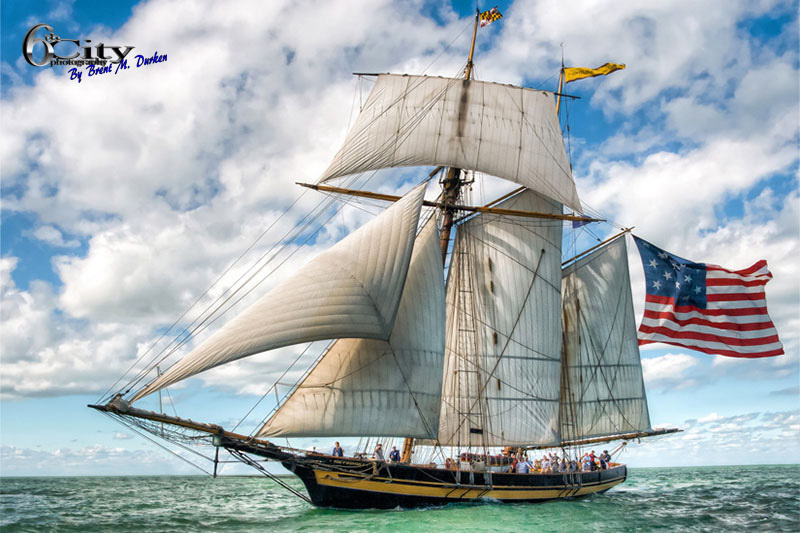 They knew that the Cuyahoga was the prime spot for the continental divide passing directly through and for the mouth coming out at the Lake Erie”. 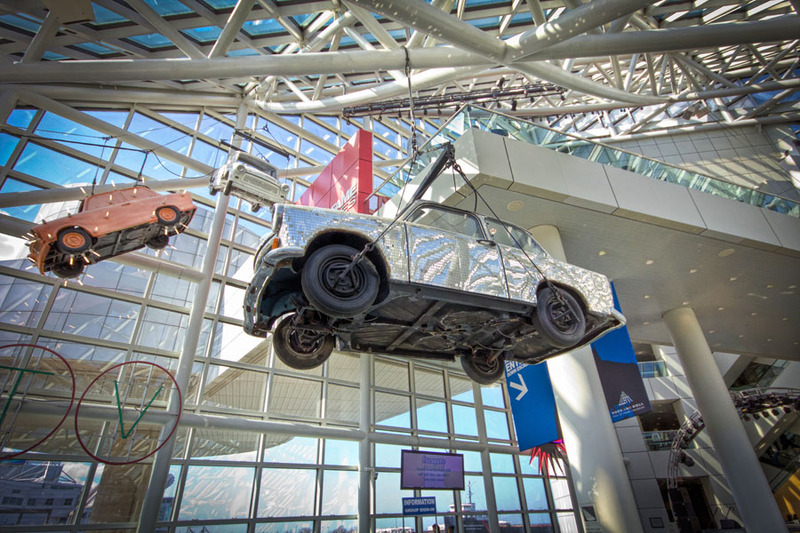 It’s the 2012 Rock Hall induction week in Cleveland! Guns N’ Roses, the Beastie Boys and the Red Hot Chili Peppers; how cool would it be to be there for this? 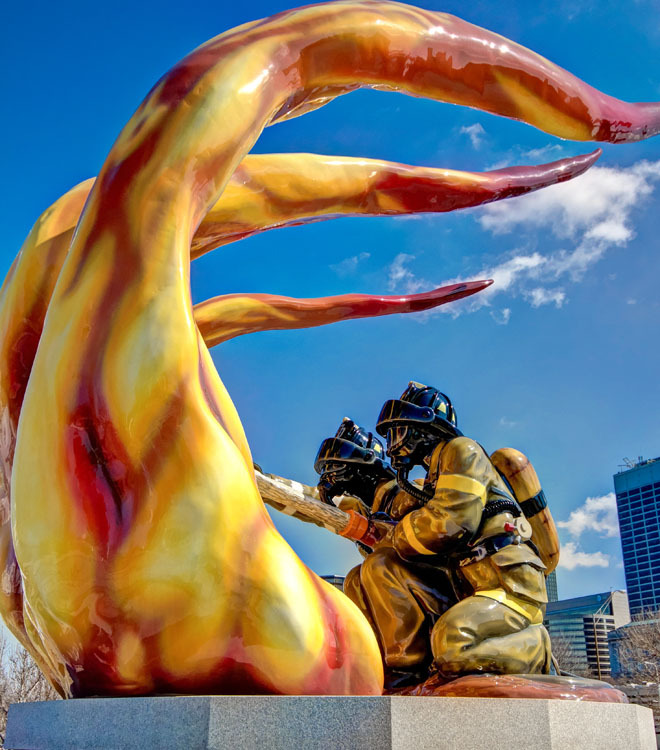 The Cleveland Fire Fighters IAFF Local 93 has posted the following info on their website: “The new Cleveland Fallen Firefighters Memorial was made to honor those firefighters who made the ultimate sacrifice. The new memorial is more representational of firefighting and is located in one of the most visible sites in Cleveland. 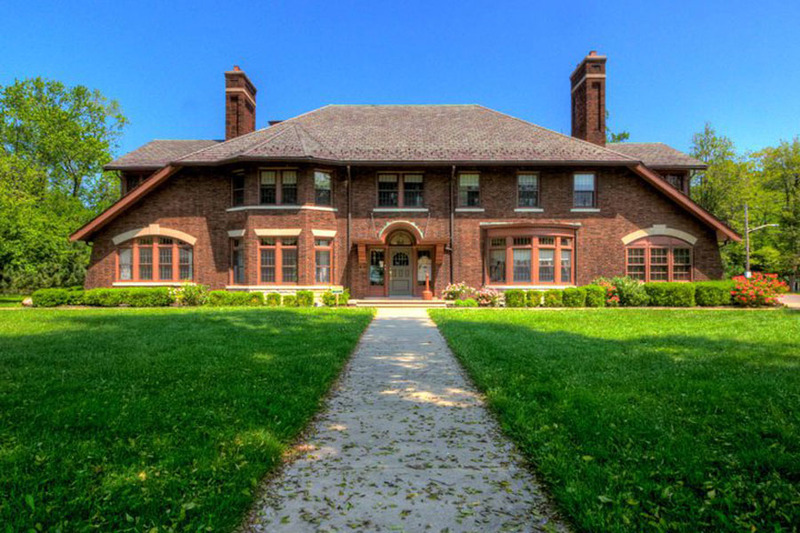 It is at the corner of Erieside Ave and Lerner Way at 362 Erieside, between Cleveland Browns Stadium, the Science Center, and the Rock and Roll Hall of Fame. It is our goal to keep alive the memory and sacrifice of these brave men, and in doing so will honor past, present and future fire fighters. The Cleveland Fallen Fire Fighters Memorial was dedicated on June15th, 2007”. 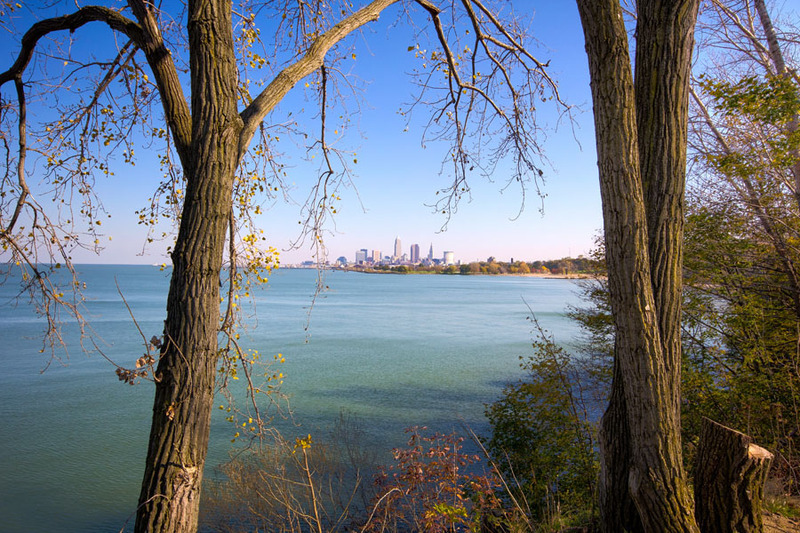 Edgewater Park is in the heart of and has one of the best views of downtown Cleveland. In the summer this fishing pier provides access for anglers, and a concession where food and bait can be purchased. 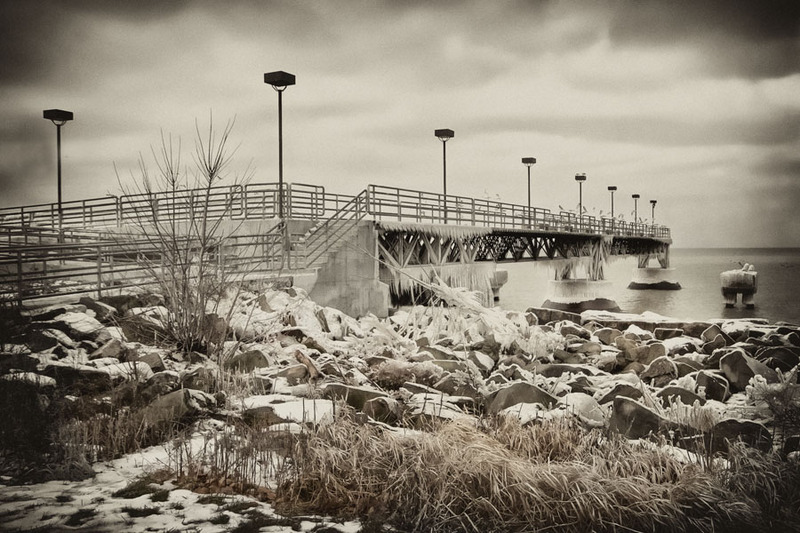 Today’s photo is of frozen Edgewater Park on Lake Erie shoreline. 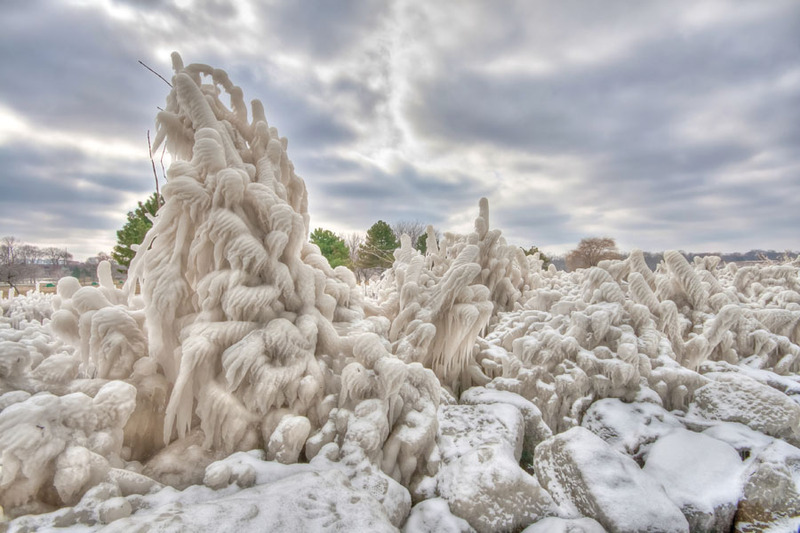 Mother Nature can create some pretty amazing ice sculptures. This photo reminds me of something you might see in a Chronicles of Narnia movie. 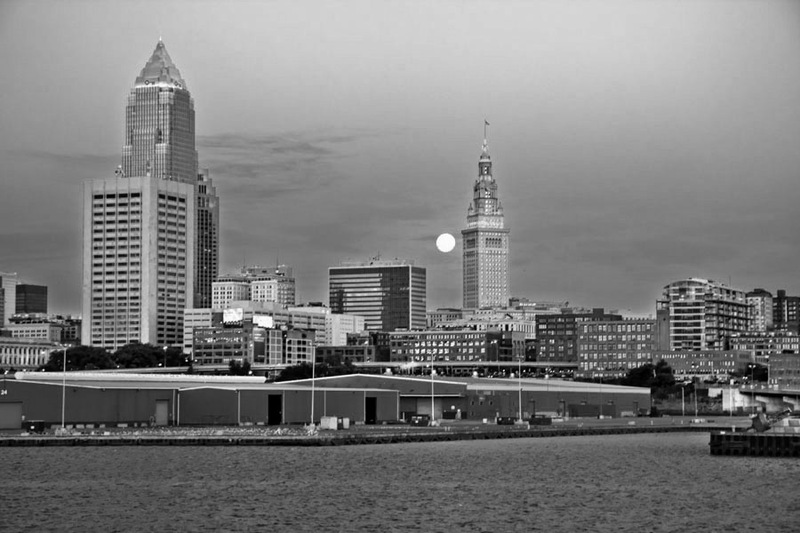 The Port of Cleveland is located on the shores of Lake Erie at the mouth of the Cuyahoga River. The port handles between 11 million and 16 million tons of cargo and generates approximately $1 billion in trade each year. The moon can be seen in the background behind the Terminal Tower.